A perfect pug head tilt! 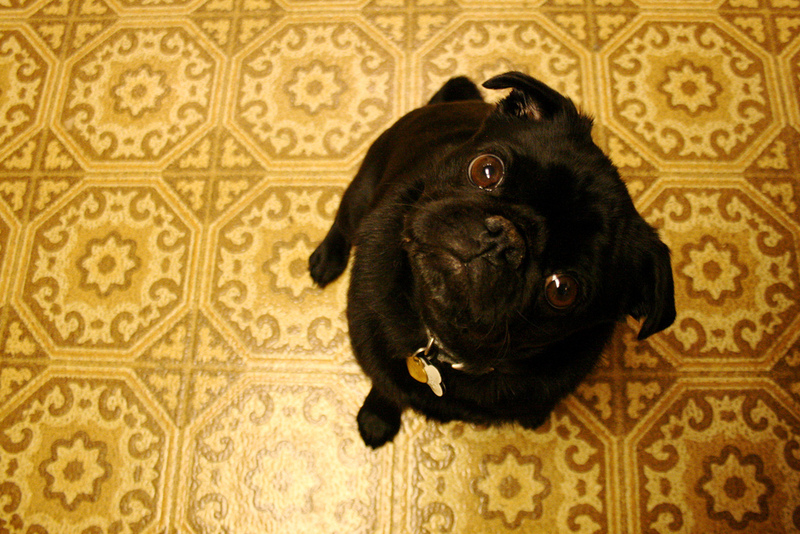 We never get tired of the way our pug tilts her head back and forth when we talk to her! 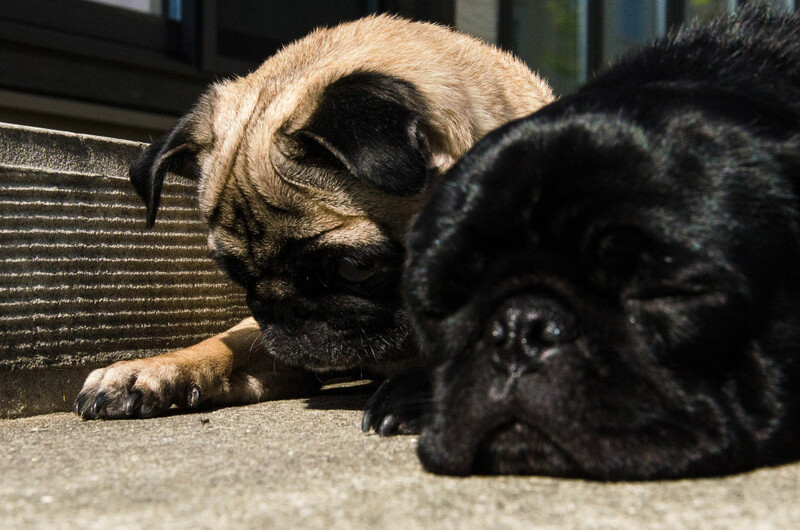 It’s just one of the adorable habits that we love about pugs. Here is a superb example of the beloved pug head tilt! Just look at those beautiful brown eyes! Pugs will try to eat just about anything! If we spot our pug intensely focused and pawing at something small on the floor or the ground, it usually means she has found a bug and is about to try to eat it. We love having a furry little exterminator in our house though. Ants don’t stand a chance! 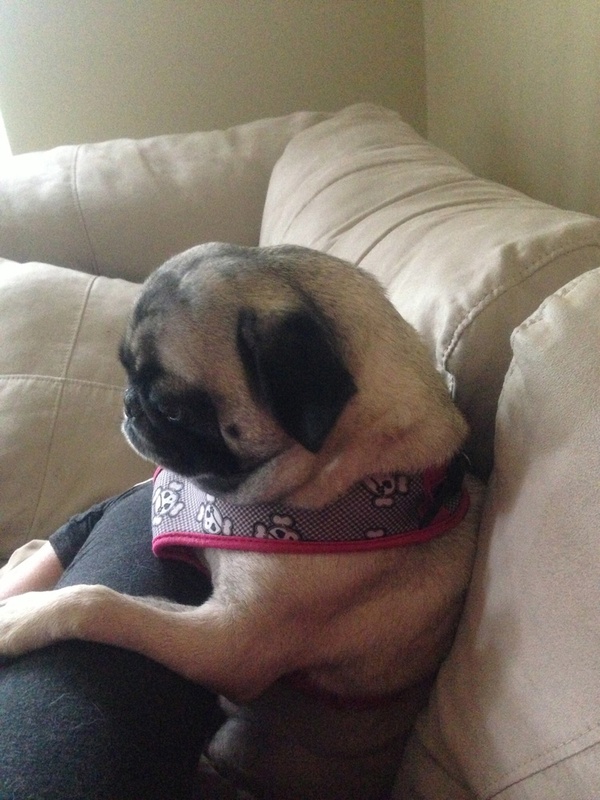 Announcing our August Pug of the Month! At the end of each month we crown the next Pug of the Month in our Facebook photo contest (https://www.facebook.com/AboutPug). We are excited to congratulate the newly minted August Pug of the Month! Meet Lily, who was very deep in thought when this lovely picture was taken.